I test drove a type R convertible before buying 2017 zo6 manual convertible. 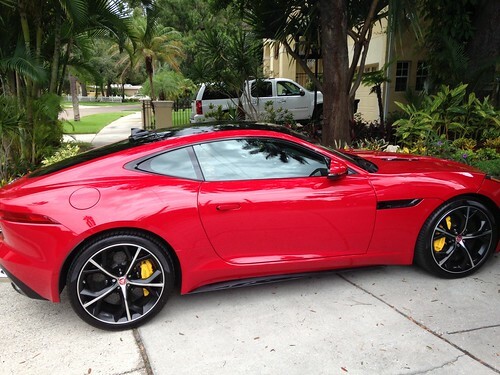 Ask the dealer to let you keep the Jag for the weekend and then decide. IMHO, I would pick the type R over the GS, unless I had to have a manual. You are very fortunate to have this decision to make. Make a great deal on the used Jag drive it for a year then get a Zo6. biggest gripe is steering and weight. They switched to electric power steering in 2016. Ive driven a type S coupe with hydraulic andnit was fantastic. This new sytem blows and is not different than something id conpare to a luxury sedan from Mercedes or Audi. It just doesnt firm up or wiggle in my hands the way i want it to. The C6 Z06 steering wasnt perfect either but it is noticably better for spirited driving. on to why i got the car and gave up a sportscar legend that is Z06. Always drive to the dealer with your oldest, dirtiest car/truck. If they don't help you because they turn their noses up at what you drove in, to hell with them. They surely won't help you when you really need it. I really dislike (using gentle, forum-happy words) salespeople who can't even afford the car you want to buy thinking they have something on you. This isn't a social climbing event, it's a business transaction. Those who don't understand that should be asking if I want fries with that. No fair slipping in the trump card of the E type! I absolutely love that car! Just an FYI. Six speed manual is now available as a credit option on 2wd 6cyl F type. People ARE impressed by appearances...it's basic human psychology. Appearance corresponds to power, and power usually wins. I wear my Rolex and other baubles when I go to buy a car. I am never disrespected and can always control the tenor of the transaction. Yea that makes a lot of sense. I actually sat in a M4 over the weekend and I am reminded how nice that would be to DD. For me tho, in my current lifestyle, I love to drive the manual. Still need to go do some test drives now that the holidays are winding down. Wait what?? Have any more info on this? Credit option? I think he meant the manual V6 is cheaper than the current V6 automatics, which used to be standard before the manual became available in the '16 MY. Awe. Ok. I thought there was an option to get a manual 15' option for the 2wd. I was like SIGN ME UP! lol. The V6 is still available in RWD, manual or auto. The V6 is also available in AWD, auto only. The V8s starting in '16 are only available as AWD, and there is no manual option. The ZF6 manual will not handle the V8's torque. As a matter of fact, when they came out, they didn't even handle the V6's torque, and a whole bunch of the early cars suffered both pressure-plate and flywheel failure. They've upgraded the parts, and I believe that problem is behind them. Last edited by Foosh; 12-28-2016 at 01:39 PM. I went from a c6z06 to an R coupe (RWD). 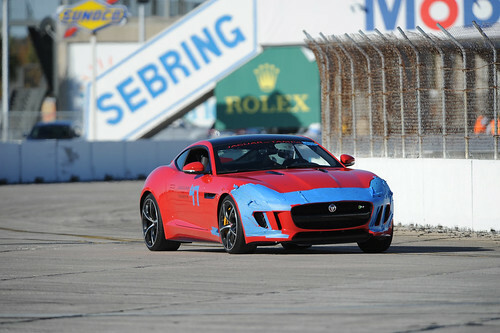 Styling is subjective but I think the Jag wins hands down. I just don't feel the c7 looks cohesive at all. I've had mine for two years with not a single issue it's even been the the track 4 times with no overheating issues. My two biggest issues with the car are 1. the weight. There is no reason an aluminum 2 seater should weigh close to two tons. And 2. the lack of manual. I miss driving a stick and will probably be back in a vette this year because of it. That said the c7 is a far superior car in terms of engineering. GM has the development $$$ the JLR doesn't. A stingray would decimate an R around a track with the same driver. The c7 has a ton of tech that the Jag lacks. For example, you can't get real time tire pressure readings in the Jag while the car is moving. Bizarre for a "performance" car. Awesome review MC! Appreciate it. Agreed on the weight and the manual. Good to get your input! The reasons in bold above are precisely the reasons why I let my F-Type go and I'm now in a C7 M7. I've had my 2016 F Type R convertible for almost a year. I can honestly say that I have enjoyed every minute with this car. I test drove a new 2014 V8S and was impressed. Two years later I test drove the R with AWD and was impressed enough to trade my 2007 F430 for one. I will concede that the Jag is heavier, wider, and taller than the C7 but the ride and handling do not make it feel as such. The car handles like a cat on carpet. As for the C7, I bought a 2017 Z06 coupe in October. The OP can't go wrong with either decision in my opinion. Also, I too am in Phoenix and my husband is a Farmer's Insurance agent so if you are still bouncing the idea of a C7Z and want a quote, or want a new quote for the Jag/GS, PM me for his contact info. I personally LOVE the F-Type R's and agree with other posters that the availability of RWD in '15 is a high selling point. Great looking cars, probably the only other car on the road that I think can match the looks with my Vette for this price range. I might take you up on this. Once i get a better idea of what I am getting, I will let you know. Also got to find out what my company is bumping me to. If the price is right than the Z06 will DEF be on the table. Appreciate the assistance! This forum continues to impress me!